The Galaxy S8 is a slender, sweet piece of glass, and if you like to live the rough-and-tumble, it needs some rugged protection to keep up with you and make through the day in one piece. 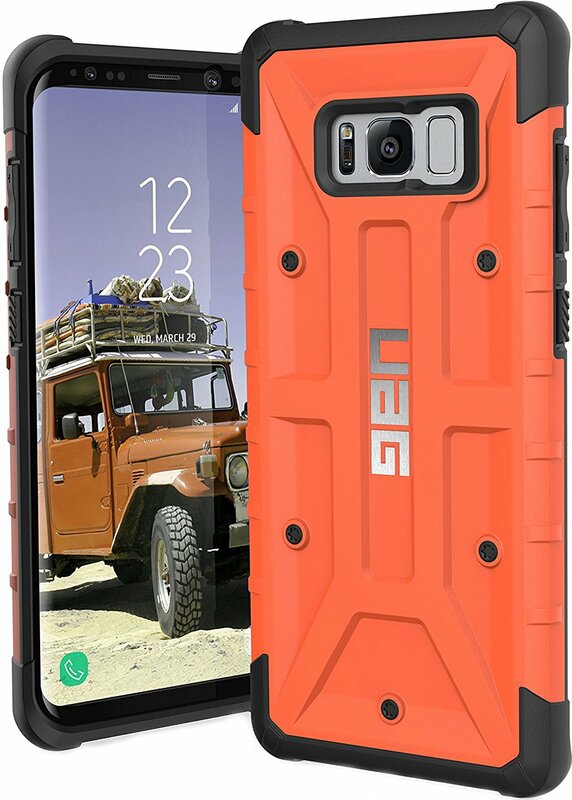 We've rounded up the best rugged cases for the S8, including the popular and pocket-friendly UAG Feather-light series which looks especially nice on the Galaxy S8. No matter your design preference or budget, we've got a case recommendation that's right for you! Urban Armor Gear is another iconic brand that routinely delivers outstanding cases for Samsung phones in particular. Available in both solid and semi-transparent colors, these cases are thin and lightweight without sacrificing on build quality or ruggedness. Starting at $16 on Amazon, with some colors only available for up to $30. 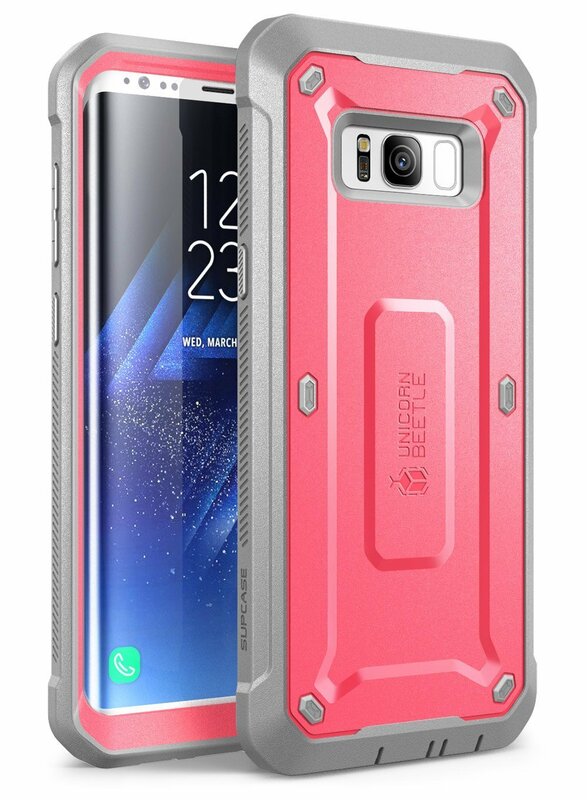 The Supcase Unicorn Beetle Pro is the utmost in heavy-duty protection for your Galaxy S8. These three-piece cases feature a front cover, back cover, and a holster so that you don't have to carry a heavier phone around in your pocket. 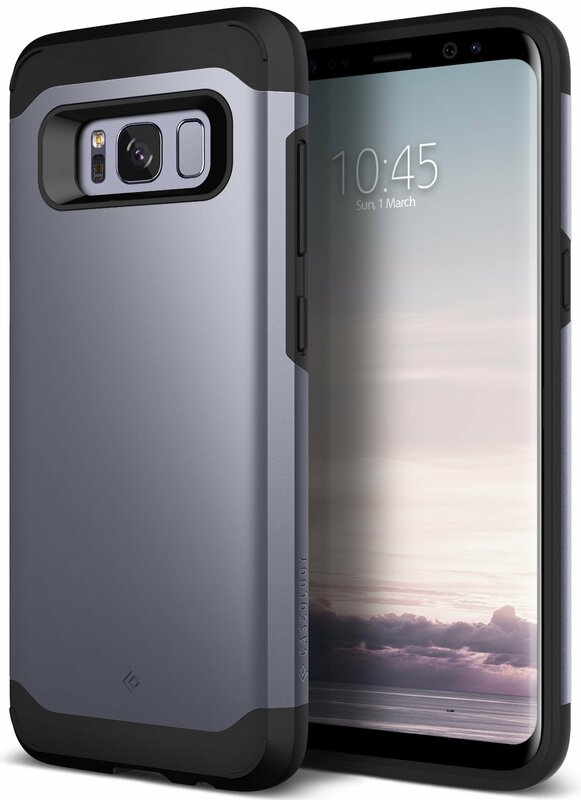 Reliable protection for your Galaxy S8. The Static Series features a fold-out kickstand and two layers of protection: a hard polycarbonate shell with a silicone layer to disperse impact and cushion your phone. On top of providing excellent protection, the Zizo Static Series also looks really cool, and are available in seven vibrant colors. For those who desire a rugged case with a smooth and sleek design, the Caseology Legion Series case is your best bet. It offers dual layer protection with a grippy hard cover to help prevent accidental drops. Available in four colors. 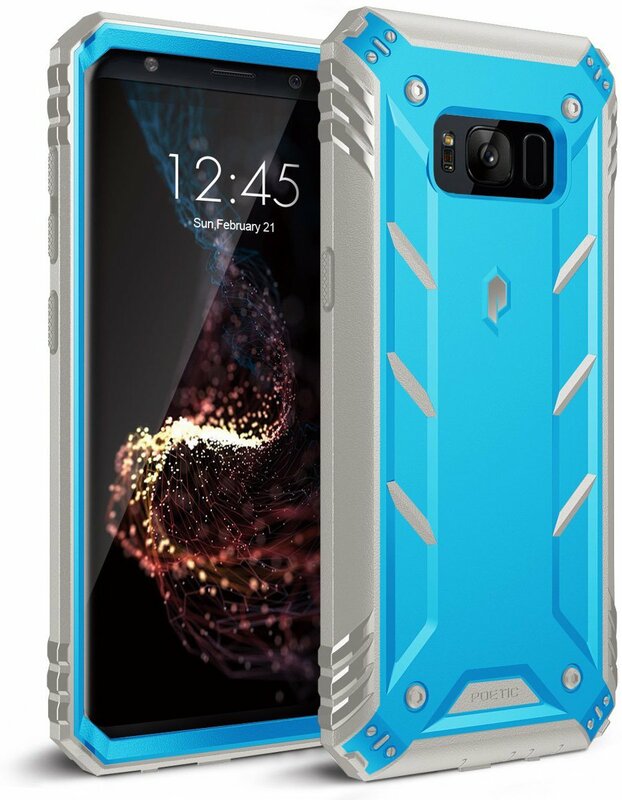 The Poetic Revolution case for the Galaxy S8 offers a two-piece case that protects with a TPU bumper backed with a reinforced shell on the back and a front cover protecting the display. This case is not compatible with tempered glass screen protectors, but should work with PET film products. Spigen makes a phone case for every occasion and its Tough Armor series is perfect for heavy-duty protection. It has an inner layer of TPU for shock absorption and to protect against scratches, as well an outer shell made from durable polycarbonate. There's also a handy kickstand on the back, so you can watch videos hands-free. The old standby of rugged cases, OtterBox is basically the OG rugged case maker, and chances are you've used one in the past, or have known someone who swears by them. There's no front screen protector due to Samsung's curved display, but it's still got beveled edges to protect your screen when your phone lays flat. 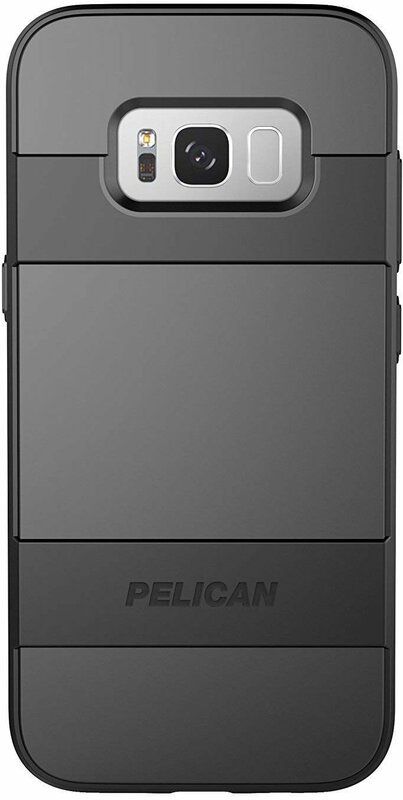 Pelican is a brand that's best known for making reliably rugged luggage and bigger cases for hauling camera gear and other valuable items, but they also make phone cases using the same overkill approach to keeping your Galaxy S8 safe. This case comes with four layers of protection around the back and sides along with a scratch resistant screen protector. 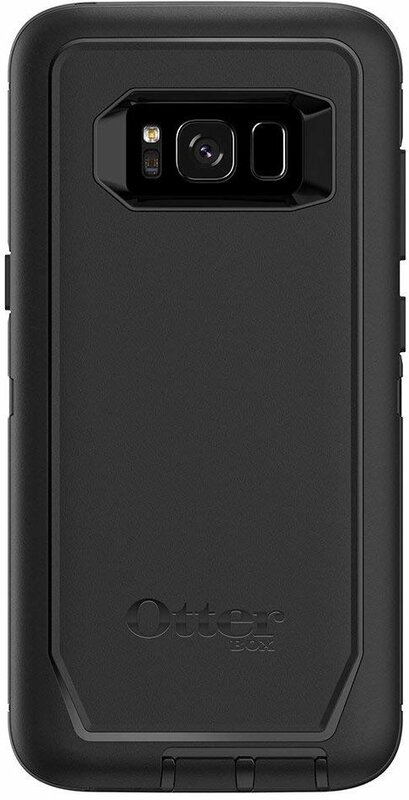 Trianium's Duranium case is a rugged mix of hard polycarbonate and flexible, shock-absorbing TPU rubber. Available for as low as $11, it's a steal of a deal. Plus, if you want to be extra fashionable, it comes with a belt clip that doubles as a kickstand. 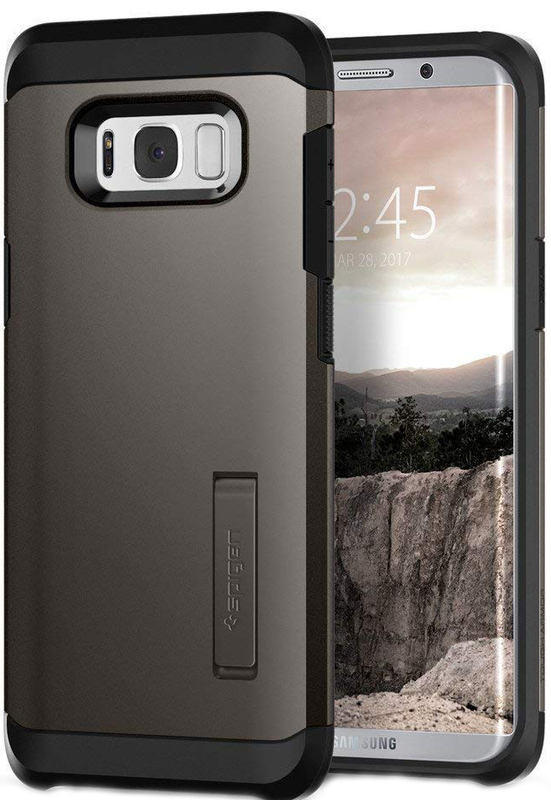 So the Galaxy S8 is an older phone in 2019, but even if you're good at taking care of your phone a heavy duty case is just a great accessory to have on hand. While there might not be too many risks to your phone in your day-to-day routine. But then there are those camping trips, music festivals, or just long nights out on the town where having a heavy duty case can really save your glass. 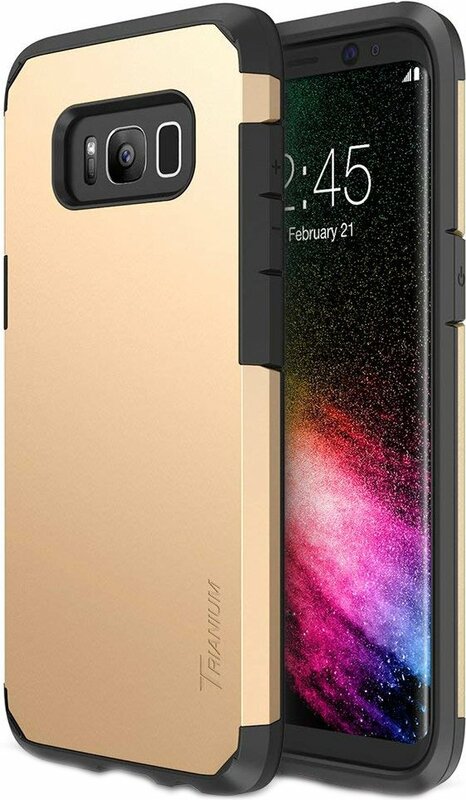 I personally believe if you own an all-glass phone like the Galaxy S8 you'd be a fool not to keep it well protected, but then again I can definitely see the appeal of keeping your phone "naked". I'll first shout out the UAG Feather-light series again for being lightweight and thin enough to be compatible with wireless charging pads, but we also love the Spigen Tough Armor for those who want rock-solid protection along a built-in kickstand.